Steve Davey is the author and principle photographer of the internationally bestselling BBC books: Unforgettable Places To See Before You Die and Unforgettable Islands to Escape to Before You Die. In the course of the last twenty years as a professional photographer and writer he has travelled to some 84 countries. Steve has recently published the second edition of Footprint Travel Photography. Widely hailed as the definitive guide to travel and location photography, this book covers everything that you could ever need to know about travelling with a camera. Steve writes regular photography features and has also led a number of travel photography tours, including his own range of Better Travel Photography tours. There are few people with his experience of shooting on the road, and even fewer with the experience in explaining and teaching photography to people with a wide range of abilities, from absolute beginners to aspiring professionals. Steve has used this experience to develop a series of courses which cover many of the issues which people struggle with, and present simple yet comprehensive solutions to dramatically improve their travel photography. Better Travel Photography was created by Steve Davey to celebrate the art of travel photography and to help people improve their travel photography skills and get more out of their travels. Some of the highlights of the site are image galleries, travel photography features and 501 Travel Photography Tips. This site also features Steve's exclusive range of travel photography tours. London is a great city. An atmospheric and historic place with many stories to be told. We will walk down the Thames (and crossing the odd bridge) photographing many of the iconic and historic places along the way. The main theme on this course is how you can tell stories with your photographs, and will touch on many elements of documentary photography that you will need to communicate with people who view your pictures. This will include seeing pictures and composition, and through these techniques, this course will help you to shoot more meaningful pictures. Although we have a comprehensive range of photography courses, we realise that we don't cover every possible scenario. If you have a specialist interest, or a specific need, then you might find that a bespoke photography course might be the best option. If you have few friends, or a small group from a camera club or would even like the option of personal tuition then this will ensure that you can cover exactly what you want, tailoring the course specifically to your own needs. You might even just want to run one of our existing courses, but at a time convenient for you and without anyone else on attending the workshop. The East End of London is an eclectic and fast-changing part of London. It is a place of traditional markets, contrasting with cafes where you can buy bowls of cereal at hipster prices! The markets are varied: we will visit the Colombia Road Flower Market and then move on to the iconic Brick Lane Market. These two markets, and the atmospheric streets of the area are a perfect location for street photography. We will be able to shoot both candid and travel-style portraits, as well as numerous atmospheric shots of some of the places that Steve considers the most photogenic in the local area. 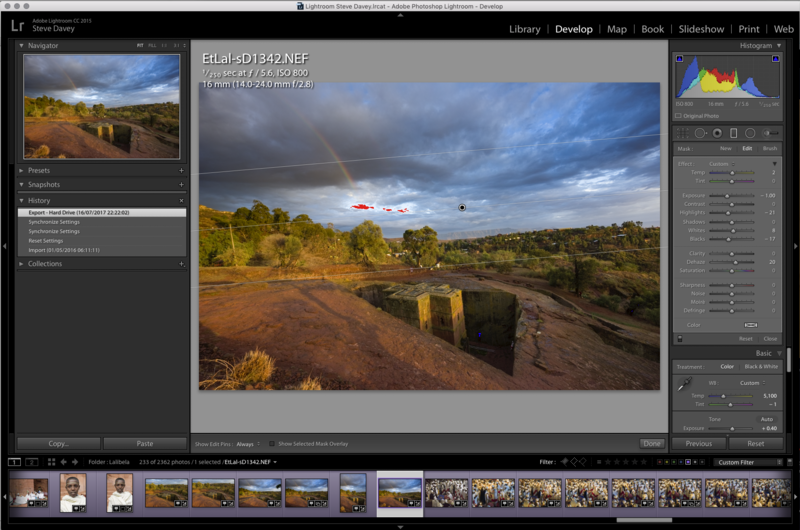 Adobe Lightroom is the most popular RAW processing software, yet many people struggle with even getting started with the basics. Although a very complex program which can appear bewildering, it can also be used in a simple and powerful fashion, to quickly and creatively achieve excellent results. Once you are comfortable with the basics of Lightroom, you can expand your knowledge and tackle more challenging images. Steve is offering two customised private workshops: one a basic starter to the software, and another offering a series advanced skills.